While in Dyersville, Iowa at the National Farm Toy Show Keith ran into a guy that had a collection of farm literature at the Clinton Antique mall. When I said I was writing a story for Antique and Auction Explorer about the mall, Keith was on board. We headed out on a sunny afternoon after finishing up the rest of the field work. Leaving off the Garmin because my husband indicated, “I know where I am going” we took a fun windy and twisty path through the countryside finally arriving albeit a bit late for my appointment with the owner Marilyn North. Marilyn said she has been open for 23 years and next year they will celebrate their 24th anniversary. A collector of Lladro and Hummels figurines, Marilyn already had a personal interest in antiques before opening the mall. We took a tour of the mall and Marilyn pointed out some of the cool antiques that her 100 dealers have to offer. I spied glassware, furniture, books, primitives, fossils, tools and much, much more while Keith delved through stacks of literature. I had to have a couple Christmas books it is that time of year and I need to fill my holiday cheer with books and Hallmark and Lifetime movies! If you are looking for a nice little drive and good antiques, head to Clinton. 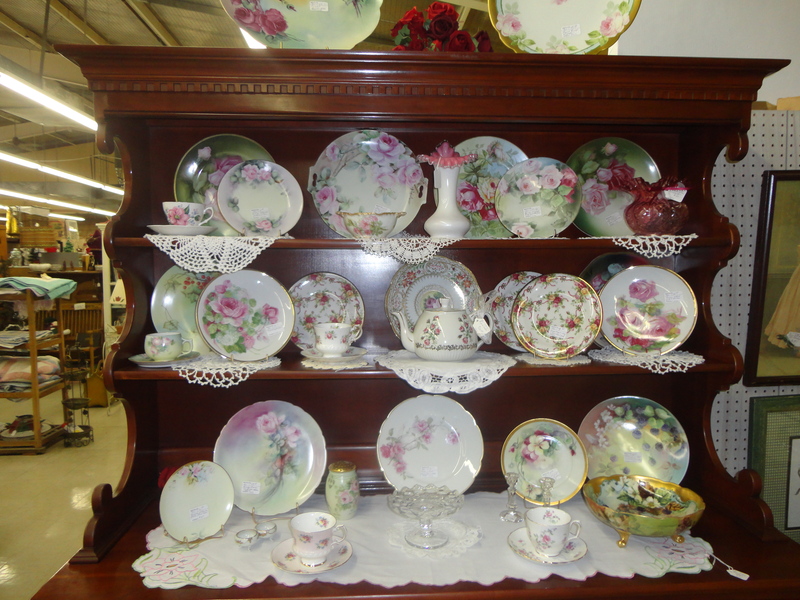 Located 161 miles southwest of Chicago, 142 miles northeast of St. Louis, and 45 miles northeast of Springfield, the State Capital, 45 miles from west of Champaign-Urbana, 22 miles south of Bloomington/Normal, and 18 miles north of Decatur the Clinton Antique Mall address is 1439 Illinois 54, Clinton, IL 61727. Call (217) 935-8846 for information. The mall is open Monday – Saturday 10-5 and Sunday 11-5. Previous Post: Watch for the Farm Toy Show to be held in conjunction with the 32nd Annual Greater Peoria Farm Machinery Show.